Join us at Seventa Makeup Academy in Central London for an intensive fun filled Makeup & Skincare Masterclass Experience. This class is aimed at those who want to get the best out of their makeup and learn some new techniques along the way. The Seventa Makeup Academy intensive Makeup & Skincare Masterclass Experience will provide you with a solid knowledge on correct application techniques to achieve a perfect skin base before moving on to creating a flawless finish with your makeup, adding colour to brighten your look and lastly getting the wow factor for work or parties and nights out. Each session is provided by a skilled Professional Makeup Artist who will work with you doing one side of your face while guiding you to do the other side to create a flawless makeup. Includes a £19 redeemable product voucher to purchase any of your favourite products you use in the class. 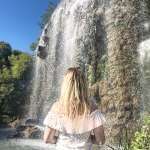 In order to keep things small and intimate so you get the full experience and give you the attention you need there will be maximum of 8 people per session. Watch this video that tells you why you should take a Makeup & Skincare Masterclass with Seventa Makeup Academy. Women in the Elizabethan era resorted to crazy methods to appear beautiful, from shaving their foreheads to using arsenic and lead to keep their skin looking super-pale. The class was really good and easy to follow! A massive thanks to Juan for being so open and honest with us, I would highly recommend to anyone who wants to learn, or just improve techniques!!! I really enjoyed this class and the time just flew by. 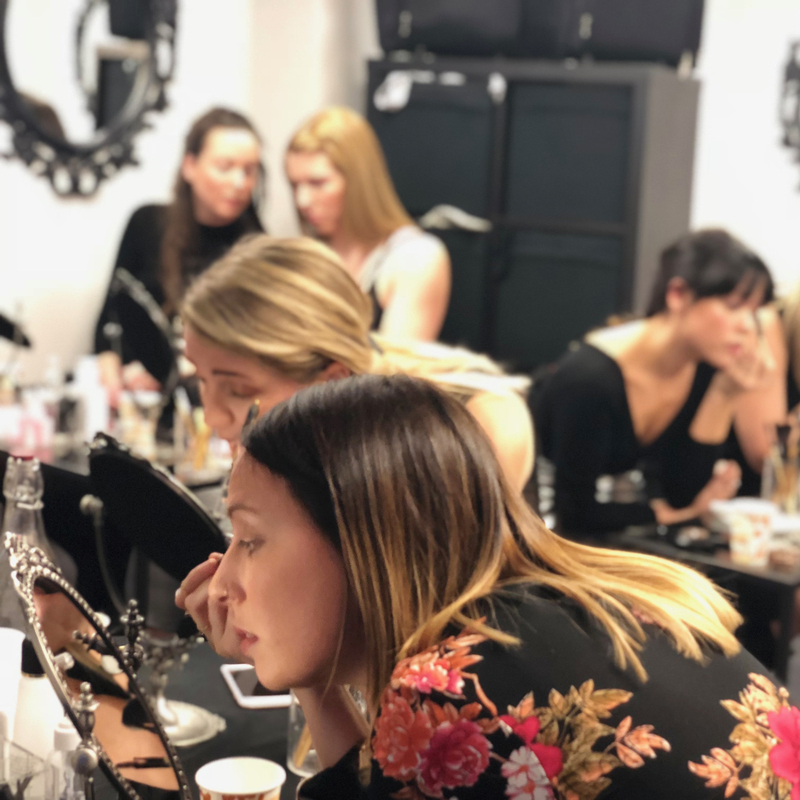 It was exactly what I was looking for in the class - some basic skincare, applying foundation, concealer, bronzer and blusher in the correct way and in the correct places! Very friendly instructors and lovely venue. I really enjoyed the class. It was great getting to try out professional products. The instructor took her time to make sure everyone understood that the techniques. She wa at hand throughout to help with advice and correct your mistakes. Excellent class - you will learn all the basics on looking after your skin and applying make up. Picked up lots of tips and tricks that were useful for everyday. The instructions were very clear and feedback helpful. Very informative; I learnt a few new tips and have updated my makeup bag with some fab new products. The tutor was friendly and made the session fun too . All of us got to be the model at some point. Lots of tips and tricks were learnt. The tutor was a pro and corrected with ease when we made mistakes. Plus opportunity to purchase what we required at the end. The afternoon session was great fun! 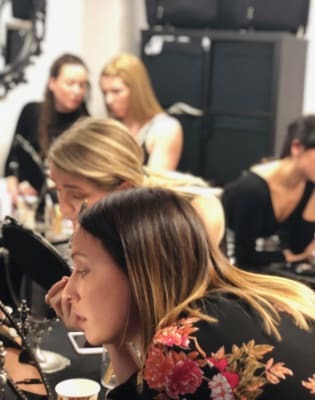 I thoroughly enjoyed the Makeup and Skincare Masterclass - the classroom was beautifully and professionally set up, and we were talked through techniques before trying them on ourselves. Plenty of 1 on 1 time with the teacher to ask for help. I would highly recommend to all who apply makeup! Had a lovely time at the Makeup and Skincare Masterclass this Saturday. It was fun and very informative as a makeup beginner I definitely learnt a lot. I definitely recommend for begginners or experts. Great class and lovely host. Learn some good tips, only improvement I would say is offering tea/coffee/water. Really good value for money - I learnt loads and the course really exceeded my expectations! The class was fun and I picked up some good tips for applying makeup. I found the tutor’s style of communication a little hard to follow, she would often start a sentence and then veer off into another thought, which was a little distracting. But overall it’s a fun experience. The lifts were not working and it was on the 3rd floor. The products were awful, and both myself and another client had to remove the mask as it was burning our faces. Given the whole premise is to sell us the product, there was not enough product to go around, e.g. one mascara between 7 of us, and 3 eye shadow palettes. The only tip I picked up was to remove mascara with a cotton bud, otherwise the information is contradictory to universal understandings, e.g. we were told to put serum on after the moisturiser as opposed to before or mixed in. Needless to say it started to pill and I had to remove and start again. Makeup artist was lovely but I would guess not used to teaching as no techniques were shared which I would have expected - e.g. where to contour / apply blusher and how to apply eye shadow. The receptionist / owner was surly at best and all about up selling the dreadful products, there's a reason no one has heard of the brand, and it was the only brand, no Charlotte Tilbury to be seen , oh and the £19 redeemable voucher is only redeemable against £38 spent. I would suggest booking a lesson at Nars, for £50 where by you get a one on one 1 hour session, get make up that is amazing, a glass of champagne and the whole £50 is redeemable against the products. Seventa Makeup Academy provides Personalised Professional Makeup Education. Our team are experts in developing skill, experience and careers in makeup. Seventa Makeup Academy develops talent to drive your ability to be strong, powerful, confident and inspired; focused on an independent career in makeup. Seventa Makeup Academy offers a personalised learning adventure that is a complete experience from start to future. Whatever role you want to play in the competitive world of makeup, you can become the industry expert who dares to create with a Professional Makeup Course at Seventa Makeup Academy. Seventa Makeup Academy also offer a range of consumer Makeup Masterclasses that focus on Self-application and improvement. All makeup, skincare products and brushes are provided for use in the class.